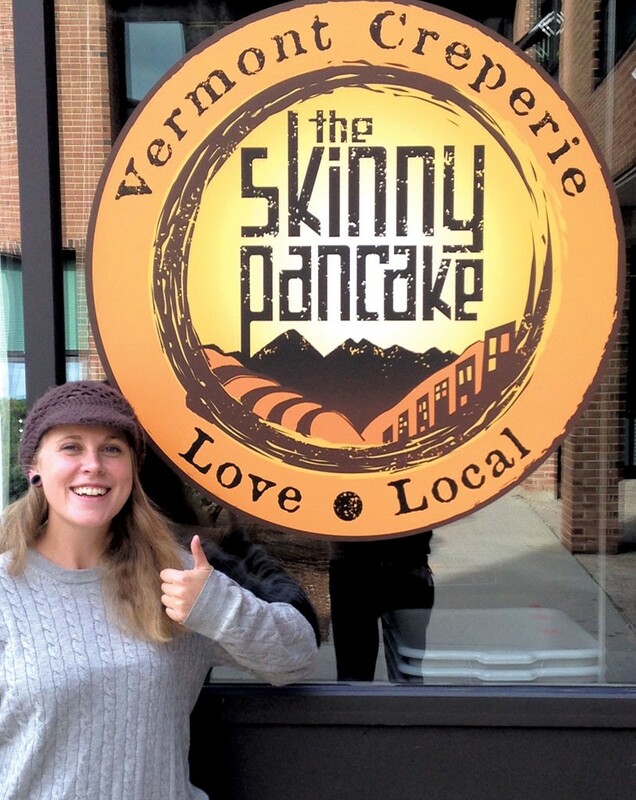 Later this week, Burlington-based crêperie the Skinny Pancake will open a new location at the University of Vermont. With a menu grounded in ingredients grown nearby, it replaces Alice's Café at the Living/Learning Center in the heart of the campus. Along with the new locavore Green Roof Deli, which opened in the Dudley H. Davis Center earlier this fall, the new café is part of the university's ongoing effort to incorporate local foods into its dining program. Open to the public, the Skinny Pancake will participate in the school's Real Food Challenge, which tracks the quantity of locally sourced food consumed on campus. In an effort to accommodate students' busy lifestyles, the menu deviates from those of the crêperie's other outposts in Burlington, Montpelier and the Burlington International Airport, says co-owner Benjy Adler. Besides the usual sweet and savory crêpes, the campus café will offer bagel breakfast sandwiches. "Egg sandwiches were a mainstay [at Alice's], so we kept a little from their own menu," Adler says. The UVM location will also carry a smattering of salads and grab-and-go snacks. To drink? Hot beverages from Vermont Artisan Coffee & Tea Company and lots of juices, sodas and cold teas. Pending a final health inspection, the campus Skinny will open this Thursday and serve breakfast, lunch, dinner and late-night bites seven days a week. The original print version of this article was headlined "New School"